Your company may consider staff augmentation with G&G's mobile app developers in Raleigh NC for mobile programming in Enterprise mobile application development. We are the premiere Mobile App Development Company, in business since 1993. We provide mobile developer resources at US$18-24/hr (US$2990-3990/month) for developing complex and analytical business apps to entertaining mobile apps. 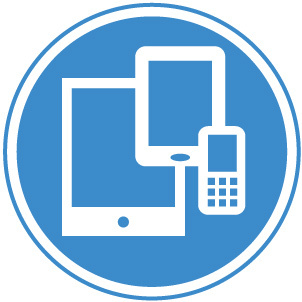 With the proliferation of mobile devices and smartphones a unique opportunity was created for G&G's mobile developers in Raleigh North Carolina. With a strong focus on mobile app programming for various applications. From general consumer apps to complex enterprise mobile applications, G&G Technologies can handle it all. Before the introduction of iPhone, Research in Motion's (RIM) Blackberry and Palm PDAs, G&G had been engaged in mobile application development. In the beginning, mobile apps were generally like simple calendar applications, customer contact list management apps for performing simple functions and more. For many years Microsoft's Windows Mobile (which was later named as Windows Phone 7) and Nokia's Symbian also had various software applications like financial stock tracking, weather forecasting apps and simple game apps. However after the introduction of Apple's iPhone in 2007 G&G's mobile developers first saw serious interests in various mobile applications starting from analytical and task oriented applications to complex mobile games to customer focused business apps. Presently the crowded mobile market, with varieties of smartphones and tablet computers (like iPad) from a large number of manufactures like Motorola, HTC, Samsung, Sony, Dell, HP and others. is looking for and in fact demanding efficient, user friendly and enterprise quality mobile programming from mobile developers. Our mobile app developers in Raleigh NC focus on platform specific software development on Apple Watch, iPhone, Android & Windows Mobile. Android application development: Our mobile developers' knowledge and deep experience in Java (along with Eclipse IDE), C/C++, Dalvik VM, OpenGL ES, SQLite, MPEG4, MP3, JPG, PNG, SGL, GSM, SMS messaging is being highly useful in developing native mobile applications on various hardware hosting Android OS. Windows Mobile development: G&G's mobile programming approach using mainly C / C++, and VC++ for developing enterprise mobile apps to consumer mobile games on Windows Mobile platform has become extremely useful in recent years. Due to ease of use, availability, convenience and low cost for companies, enterprise mobile applications are gaining popularity and in some cases extreme urgency, in many vertical industries. These industries are seeing fast adoption of mobile apps on smart phones and universal secured access to their business and enterprise applications through secured network infrastructure by employees. Maintaining and managing mobile access to enterprise applications are getting easier, cheaper, and more secured by every day. Although industries are aware of, however most industries did not face and address the mobile security issues yet deeply.